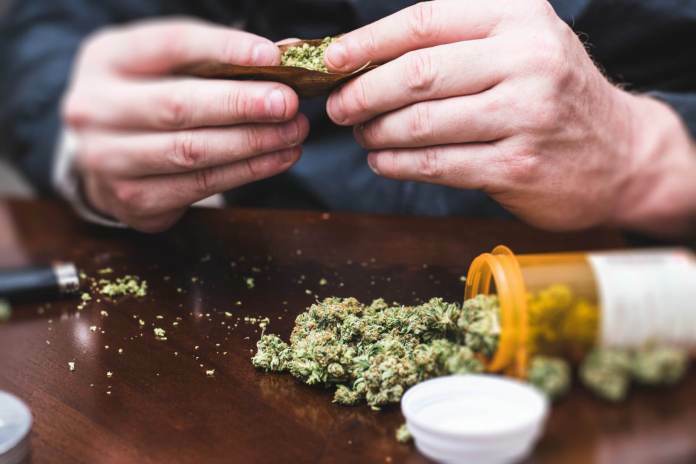 TALLAHASSEE, Fla. — Just two days before a deadline set by Governor Ron DeSantis, the Florida House on Wednesday voted 101 to 11 to pass a bill that would allow patients to smoke medical marijuana. The Senate last week went along with DeSantis’ demand to eliminate a ban on smokable marijuana. The legislation would allow patients to buy up to 2.5 ounces of medical pot during a 35-day period. They would also be able to possess up to four ounces of cannabis at any given time. Smoking of medical cannabis, which would have to be purchased from state-authorized operators would be banned in public places. And patients under age 18 would be allowed to smoke the treatment only if they are terminally ill and have a second opinion from a board-certified pediatrician. House bill sponsor Ray Rodrigues says the quick legislative action is due to DeSantis’ threat to drop the state’s appeal of a court decision that found the smoking prohibition violates a constitutional amendment that broadly legalized medical marijuana. “The governor was clear that there was a deadline that he wanted to see action from the legislature. Both the House and the Senate agreed that the proper way to respond to this was for the legislature to address it via legislation, rather than just yielding it to the courts and to a judicial decision,” said Rodrigues. Democratic State Representative Carlos Guillermo Smith says the bill is not perfect, but he feels the plan is much better than original medical marijuana legislation passed two years ago that banned smokable cannabis. “There are some hurdles that need to be overcome. There is a little bit of government red tape that I would prefer not be there. But, at least we are moving in the right direction. I support this legislation, so that cannabis patients and their doctors can decide whether it is right for them to smoke their medicine,” said Smith. The bill now heads to Governor Ron DeSantis, who is expected to sign it into law. It’s unclear how long it will take for smokable pot to become available to patients. State health officials would still have to craft rules regulating smokable marijuana. Previous: Previous post: Listen To Us On The Love Doctors Radio Show!